Kirt Silver is a Sullen Art Collective award winning tattoo artist who specializes in large custom works. From your first consultation, you will discover that Kirt is an inspired artist and will take your vision to the next level. 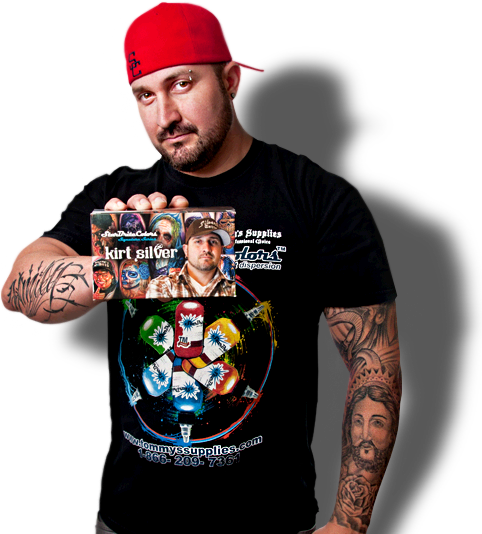 He has a passion for the art of tattoo which reflects in all of his work and is sought after by clients internationally. Kirt is by appointment only due to the on-going demand for his custom creations. Kirt’s goal is to take his clients ideas and transform them into the next award winning tattoo!